Iraq's National Security media centre said in a statement that the attacker had detonated an explosive vest after being besieged by security forces at the entrance to the Saqlawiyah public garden in the Shula district of northwest Baghdad. Baghdad: At least four people were killed and 15 wounded in a suicide attack targeting a predominantly Shi’ite district of Baghdad on Thursday, a military spokesman told Reuters. 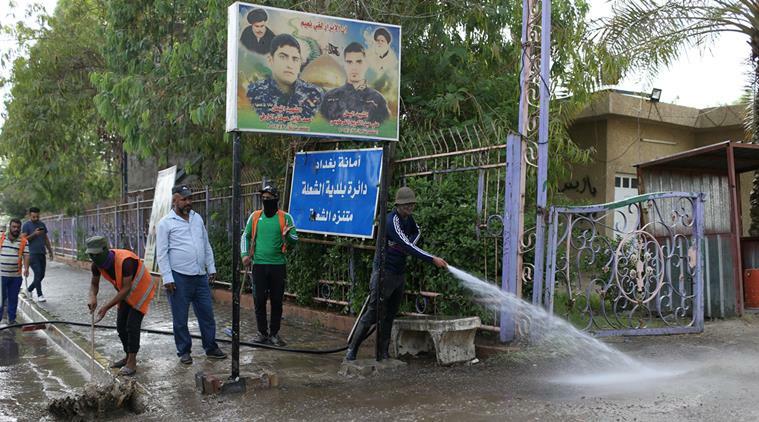 Iraq’s National Security media centre said in a statement that the attacker had detonated an explosive vest after being besieged by security forces at the entrance to the Saqlawiyah public garden in the Shula district of northwest Baghdad. This resulted in the death and injury of “a number of civilians”, it said. The attack took place during the holy month of Ramadan, when people typically gather in cafes late into the evening to eat and relax before resuming the fast at dawn. Islamic State claimed responsibility for the attack, in a statement from the group’s Amaq news agency. It said the attack had killed 15 people and injured 19. Iraq declared victory over the hardline Sunni militant group in December 2017. Although the group has largely been defeated, it continues to carry out sporadic attacks and operate limited cells in the country, particularly in the north, around Iraq’s second city Mosul. Islamic State has claimed previous attacks against security forces and in public places in mainly Shi’ite dominated areas. Earlier this month, the group claimed a deadly gun attack in Tarmiya, an area 25 km (15 miles) north of Baghdad.